Many of us have seen Dove’s latest ad campaign as it makes its way around social media sites. Upon initial viewing, my first reaction was, “Wow!” They make a great point about how women view themselves, downplay themselves, and perhaps even emotionally handicap themselves when it comes to their physical appearance. I saw the reactions of the women in the video when they saw their portraits as others described them, and it was heartwarming. A male friend then sent me a counter response to the video which made me think twice and almost feel ashamed at my initial positive reaction to Dove’s video campaign. Dove has gotten much credit in the past for its Real Beauty campaign, but it has also faced much criticism on whether its ads promote one kind of beauty over another. I myself took issue several years ago with the fact that Dove is owned by Unilever, the company that produces skin whitening creams and markets them in India and other parts of South Asia and Southeast Asia where dark skin is seen as ugly. This is something I have struggled with, especially as a teenager when everyone is already concerned about their physical appearance, and then the wonderful world of adolescence makes everything 100% more serious, more dramatic. Growing up as a person of Indian descent, I was always surrounded with words and ideas indicating that light skin is more beautiful and dark skin is undesirable, even vile. I was told to stay out of the sun. Friends would wear long sleeves and pants to the beach so as not to get dark. All the Indian magazines and especially the Indian film industry cast light-skinned models and actors. And I’m not just talking about the golden tanned skin of American television and ads — no, even that was too dark for Indian mentality! You could have two identical twins, one light and one dark, and the fairer-skinned one would be favored. Even children’s cartoons depict honorable heroes with light skin and evil villains with dark skin. I recently learned that Facebook users can lighten their profile pictures with Vaseline’s skin-lightening app! How sickening. When I was younger, I truly felt bad about my skin color, even though I was born and raised in the United States where the opinions on beautiful skin tone are different (but not necessarily better). I had many other Indian friends and family who likewise were obsessed with lighter skin because it is so engrained into Indian culture and society. It goes back centuries and is actually related to ideas about caste/social class, so deconstructing this notion will not be an easy or quick task. It was not until my early twenties that I realized that most people who were not of South Asian descent thought my skin color was beautiful. One friend told me I look great in gold, which is funny since all the Indian gold jewelry ads I ever saw featured light-skinned models! It never crossed my mind before that gold complements brown skin. I recently watched a Bollywood movie (Wake up Sid!) with my husband in which the female lead (Konkona Sen Sharma) was a beautiful brown tone, but I was surprised that she was even cast! Although her skin is several shades lighter than mine, I could just hear many South Asian movie-goers: “She’s too dark!” I have seen multiple Fair & Lovely advertisements that blatantly tell the public that dark skin will make you unhappy and unsuccessful. Sadly, you don’t even need subtitles to understand the concept. After reading the counter argument against the Dove sketches, I felt duped. I am usually immune to advertisements, mentally picking apart the ways in which the company is trying to get the public to buy its product. I suppose this was a different type of ad, though, and a very smart one — it did not directly place a product for the viewer to want to buy. It placed an idea, a value, that the viewer would forever link to Dove the next time they were in the skin care aisle of the supermarket. I have been quite vocal in recent years about my distaste for this mentality about what is beautiful and what is not. I find beauty everywhere between pale, porcelain skin and deeply black skin. My husband appreciates me for who I am and compliments my skin color constantly (in less than romantic ways such as, “Your skin is beautiful golden brown like a roasted turkey!” But I know that comparison to food is the highest compliment =)) The only way we can start to change minds is to teach our children to love their skin color no matter the shade, and to respect other human beings based on values that are more than skin deep. I think I understand why you feel duped…..the reaction from women I know to the Dove campaign has been mixed too. As a few people have pointed out, it’s REALLY nice to see a major brand acknowledge how hurtful the beauty culture is to women. On the other hand, they take that moment of acknowledgement when you are vulnerable and brand it with Dove. It’s actually a brilliant marketing campaign, but I’m not so sure it’s good for women. Thank you for the input! Read your post on this topic too and appreciate your ideas. Definitely – I think what’s powerful is that no one has really acknowledged the pain inflicted on women because of beauty. Personally I subscribe to your approach, while I think there are positive things that can be said about women’s physical appearances, there’s more use in talking about what makes humans interesting and engaging. What are we passionate about? What truly matters to us? How can we be better? Those are the questions that give value to an individual. Agreed! I especially am disheartened when people equate beauty or notions about what is beautiful with happiness and success. Important and meaningful values get lost in the conversation. If you are white and female in America, this article is all about you, and your omnipresence is the reason women of color across the world hate themselves. Only you have the social power and voice to start changing things. The question is, will you? As a black woman, I’m sure you won’t. Why would you? After all, its continuance benefits you, and it always will. One of the common responses I’ve seen to the skin lightening argument is that it is the same concept as tanning. It is SO different from that. Itis hard for people to understand that when they don’t live it. Great way to blame an entire group of people (white, female, Americans) for something they are not responsible for. In no way whatsoever are an entire group of people in America responsible for Indian culture/values. And if you do come to America, leave those caste values behind because we don’t want any of that in American culture. My article has not blamed Americans for the ideas of beauty in India. Caste exists unfortunately in India (albeit illegal) but don’t forget that America has its own version of socioeconomic inequality. Oops, my comment was meant in reply to The Queen of Swords – I want to say that it is the company to blame, in the same sense that no one individual is representative of their country or culture, no one company too is representative of a country or culture. My Chinese friend and I discussed the tanning vs whitening phenomenon, reflecting back on our formative years, and though it is not the same, the feelings that come as a result are similar. I agree that no corporation truly represents any culture, except the culture of turning a profit. Thus they can manipulate the world views of their target consumers. I would argue though that tanning is different from skin lightening. I’m not sure of the implications in China or other southeast Asian countries, but in India, people seek brides based on skin tone. Three states in India named skin tone as their #1 value in a spouse. One woman committed suicide because her husband verbally abused her for years — how? By calling her “black.” Although caste has much to do with this, so does colonialism. Same thing in many parts of the world. And think about who the colonialists were. The powerless see what the powerful look like and want to emulate that to feel more powerful. It is much deeper than tanning. I really liked this blog post. I did not know that Dove markets skin lightening products. But I know about the prejudice regarding darker skin… I have had friends of Indian descent tell me about the prejudice against darker skin. I’ve had black friends tell me the same thing. Frankly I think that all women all over the world hear “you are not good enough” unless you look like Barbie. I think it is worse if you are not white , but it’s still bad for everyone. And although I understand where Queen of Swords is coming from, I am not going to refrain from commenting. I am glad you liked the post. Thanks for your insight! The insight into Unilever’s corporate agenda and the mixed messages it seems to be sending, on an international level, is an important contribution to the discourse concerning the recent Dove ads. 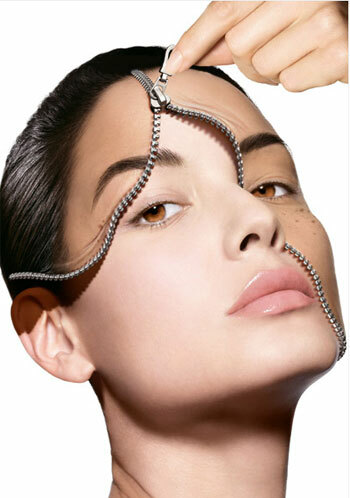 In some senses, oddly enough, the marketing of skin lightening products in an attempt to meet and capitalize upon existing demands in the marketplace (as illogical and potentially harmful as they are) is almost more forgivable for its ‘in your face’ approach than efforts to pander to women’s emotions through manipulating feelings about body image in an attempt to sell products based upon false senses of goodwill garnered. If Unilever truly wanted to make a difference in women’s lives, they would have anonymously invested the production costs and budgeted advertising expenditures associated with that commercial to a charity which fosters self-esteem and media literacy in public schools. Well, that wouldn’t have earned them a cent. Very good points! It is interesting that you feel that the straightforward approach of Unilever is slightly less apprehensible than Dove’s sketches. This article I read recently has the opposite view: http://m.firstpost.com/life/why-doves-real-beauty-ad-is-better-than-fairness-cream-commercials–711756.html. I’m still not sure about which one I think is worse.